I provide policy advice and support to Te Kotahitanga o Te Atiawa Trust and Te Atiawa hapū, marae and whānau enabling these entities to respond to central and local government environmental plans, policies and resource consents. My role also involves encouraging and supporting Te Atiawa hapū, marae and whānau kaitiaki to participate in environmental initiatives. The best part of my job is working with and supporting my hapū, marae and whānau members to work through environmental management and policy matters. This would have to be sitting at my computer for prolonged periods and not having the time to get out in the field for hands on, practical work. A variety of policy-related work including facilitating a targeted review of our draft Te Atiawa Iwi Environmental Management Plan, and making submissions on central and local government agency environmental plans, policies and resource consents. I am also about to start two monitoring projects with hapū, marae and whanau. 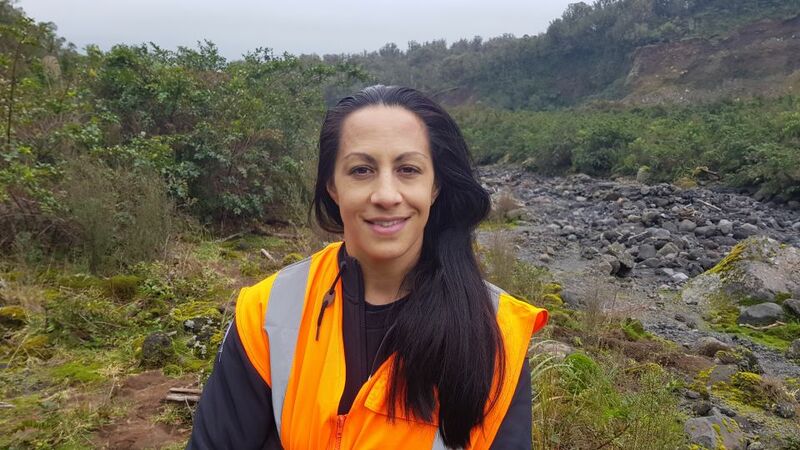 The first is looking at restoring mahinga kai areas/species within the Waiwhakaiho River and the second is looking at monitoring taonga species inside and outside Tapuae Marine Reserve and Ngā Motu/Sugar Loaf Islands Marine Protected Area. Both of these projects will have a large GIS component for recording monitoring data. Translocating 50 North Island robin (toutouwai) from Pureora Forest to Maunga Taranaki. We took hapū members over to Pureora for a feeding trip - feeding the birds mealworms encouraged them to come to us for catching. They are now being seen all over the Maunga! Bachelor of Science in Zoology, Post-Graduate Diploma in Biological Science and Masters in Marine Science. Surfing and chilling with whānau and friends.